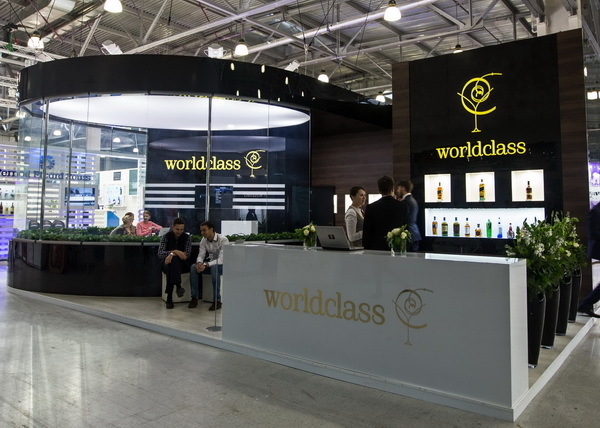 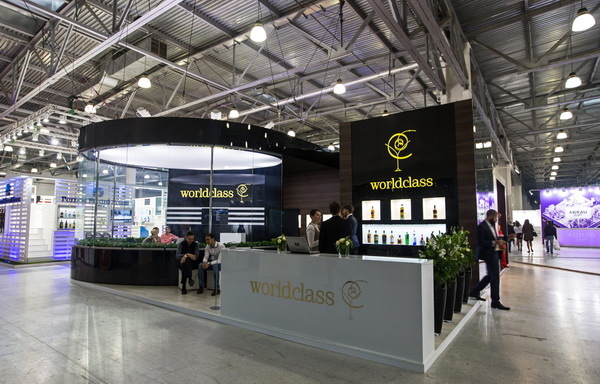 The stand on the Moscow bar show-2015 exhibition. 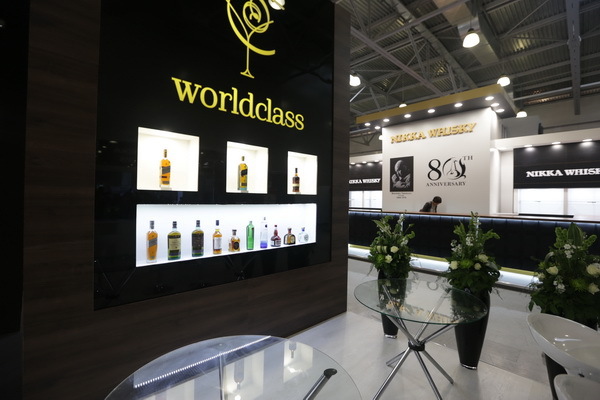 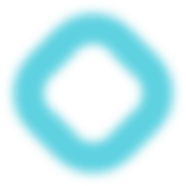 Zoning of space for a meeting of guests, holding master classes and presentations and also the closed negotiation zone in the form of vintage bar. 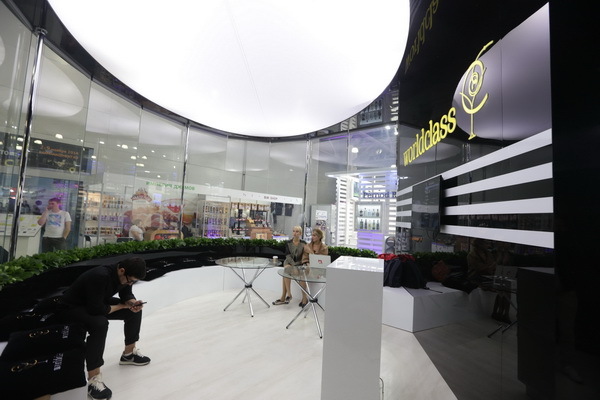 Facing by glossy plastic, pasting by wall-paper, production of a light ceiling.